Have you ever pondered what makes people's aesthetic points of view so different from one another? The thought functionality that sends the message from the eye to the brain is extremely complex, I'm sure of it, but what makes it a positive or negative relay? Certainly, it's a process dependent of a person's environment and a lifetime of what they've been exposed to, but what encompasses diverging opinions? No matter, the world would be a sad, dull place without them, but it remains great food for thought. 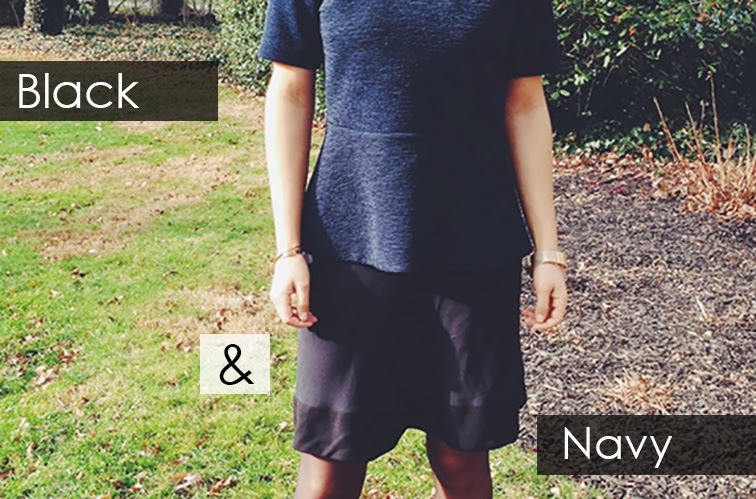 What are your thoughts on black and navy worn together: yay or nay? love! navy is one of my favorite colors... so classic and timeless... just like black and white! this is perfect! and i love that top! Definite yay! Why not? It's like white after labor day or no miniskirts after 35 - if you like it, then rock it. Besides, they're both neutrals and neutrals always go together. You look really cool, I love it! I need boots like that..inspired!